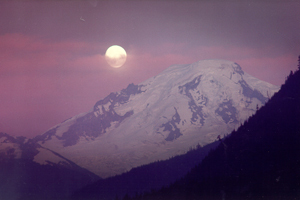 Alpenglow Farms began growing berries in the lush Nooksack River Valley of Northwest Washington State in the 1970's, and established the Alpenglow roadside farmstand for the sale of fresh berries, fruit, pastries, and specialty farm foods. 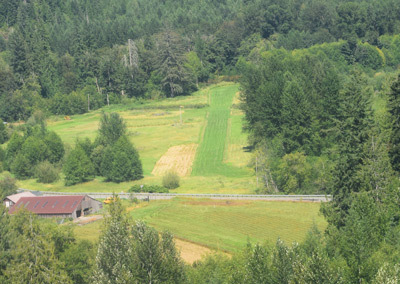 Due to local government restrictions forebidding the sale of farm products processed beyond Whatcom County, it became necessary to close this very popular farmstand that provided so many unique farm produced products. 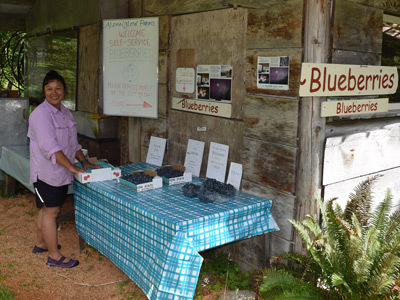 At this time, we continue to provide fresh blueberries at the roadside farmstand building during July and August on a self serve basis. Our Mt Baker Blueberries are big and they are delicious. Drive in or Fly In, or give us a call for an order to pick up: 360.599.2927 And thanks to all our friends and customers for their patronage and support. 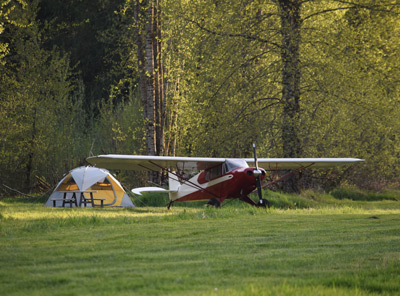 In 1973 a portion of the historic Loops Ranch adjacent to he North Fork Nooksack River was purchased for use as an aircraft landing area, a homesite, lodging, recreation, forestry and continued agricultural uses. 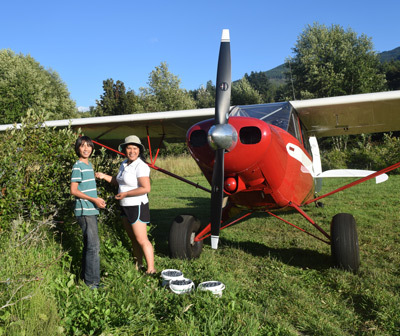 Today, the landing strip portion of the property continues to provide the property owner and other private pilots flying suitable light aircraft with a unique aviation opportunity in NW Washington adjacent to the North Cascades. Lodging at our Glacier Suites and reservations for our exclusive riverside campsites are available. 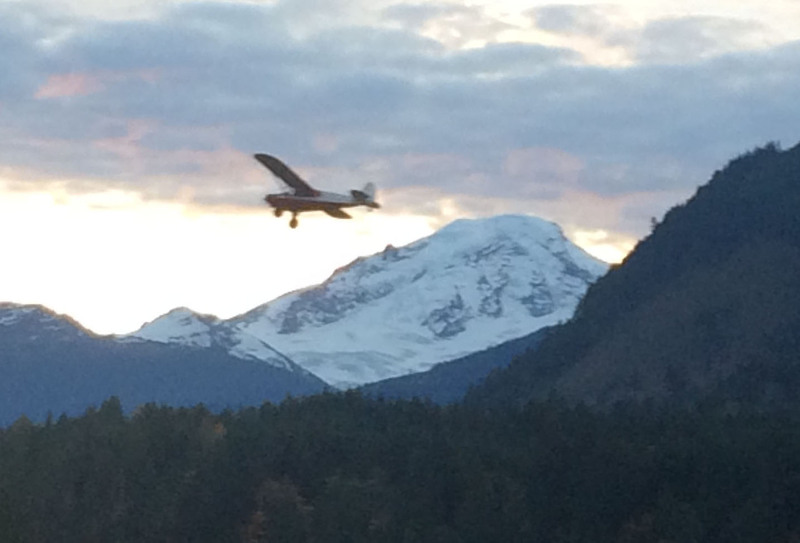 The airfield can be viewed on this website or via Google Earth by entering 8004 Mt Baker Highway. For further information call us at 360.599.2927 or e-mail: bill@mt-baker.com. The following is a partial directory of area services.